How many of you out there have Meal Planning as a resolution for 2019? Yep, I see a lot of hands in the air!!! Before you subscribe to one of the many meal services or buy a how-to course or book, please for the love of things right and good, stop and read this article! I know this time of year, almost everyone has got goals around either eating healthy and/or wanting to get dinner on the table with less stress. So, you want to take action ASAP and reach those goals NOW, right? I love goal-setting and I’m definitely a get-er-done gal so I totally understand you wanting to go for it and get a solution in process, yet there’s a few things to consider and do before you begin! If you don’t set your foundation properly, you’ll waste a bunch of money, buy gadgets you don’t need or don’t fit your lifestyle, and sink time into a course that won’t help you long term; and worse, likely fail at your goals and intentions. I feel like the topics of Meal Planning, Diet Systems, and Instant Pot Cooking are everywhere these days—or maybe it’s just everywhere on my IG feed and in my email in-box?!? LOL! But seriously, I know most moms struggle with getting good food on the table and there’s now a HUGE industry built up as a response: there are Meal Delivery Services, gadgets like Instant Pots & Air Fryers, Meal Planning Guides and subscriptions, huge amounts of podcasts, videos, blog posts about the idea, and the best ways to do this. The point of this article is to help you meet your goals, guide you to the best system for you, and avoid wasting time and money while you get on track with whatever system addresses your pain points best. I’m not an affiliate for any meal planning services or subscriptions—any feedback I give is unbiased so sift through the data knowing I do not have any agenda other than helping you. I started doing Meal Planning around 4 years ago and it’s been an evolution. I’ve tried many of the Meal Delivery Services (both fully prepared meals and ingredient options), subscribed to planning systems & blogs and read quite a lot on the subject. But in the end, my system is simple these days and it has made a seriously significant impact lowering my stress around dinner. I’m guessing that many of you mamas out there have tried meal planning, and some succeeded, but most of you probably fell off the wagon early on or your system only addressed part of your problem. That’s what I see over and over again in comments on blogs, learning groups and on IG. From the market research I did before launching No Qualms Mom, I know that eating well without stress is probably the top or one of the top pain points for women. And if you’d asked me 4 years ago, I would have definitely named it my top frustration. My existence was: throwing away rotten food on the weekly, late/stressful meals, asking for menu planning help from my family but instead getting blank stares and ‘I don’t know/care,’ huge grocery bills and basically just a TON of stress. Sound familiar? When I was a single mom, it was less of an issue because worst case, I’d feed Isabelle something healthy/easy and I’d eat a bowl of cereal (you laugh, but it’s true!). After getting married 7 years ago, getting pregnant within a year and then having an infant plus an elderly father to feed things got messy quick. Your story is different I’m sure, but with the same stress and results, and same frustration and wish: make meals easy, delicious and stress-free. So how should people find success with meal planning? Is there a magic bullet or system? What….NO?!? Damn it right?!? Like most everything positive in life, it won’t just fall in your lap, but there are a few relatively easy ways to make it a habit and we’ll talk through them. But before we dive into the ‘how’ let’s get your ‘why’ clear. Get crystal clear in fact! Because it’s one of those habits that you really have to make a life change to do, understanding the root cause is crucial to developing a positive habit. To begin, you need to really understand and envision what life would be like if you do develop the positive habit of meal planning and not just in the logical sense. Really think about how it would feel to manage your kitchen well in a lot less time, waste less/spend less and get dinner on the table (good dinner BTW) without stress. Now with the clear feeling you want as your goal being your driver, you need to pause and set yourself up for success or you may as well not bother trying. Sorry to be Debbie Downer but it’s true. I know your instinct is to just go for the nearest shiny system that’s in front of you, but take it from someone that’s tried a bazillion services and systems, stop and assess first!! Studies say it’s a minimum of 21 days to lock in a habit. But in this instance, I’d guess it may be more like 30+ days which is a long time! What’s in your pantry? Is it set up to know this easily at a glance so you can easily create your weekly shopping list quickly? Do you have an arsenal of recipes that meet your needs? Specifically, do you have enough recipes/meals that are healthy & moderate-and easy to make? 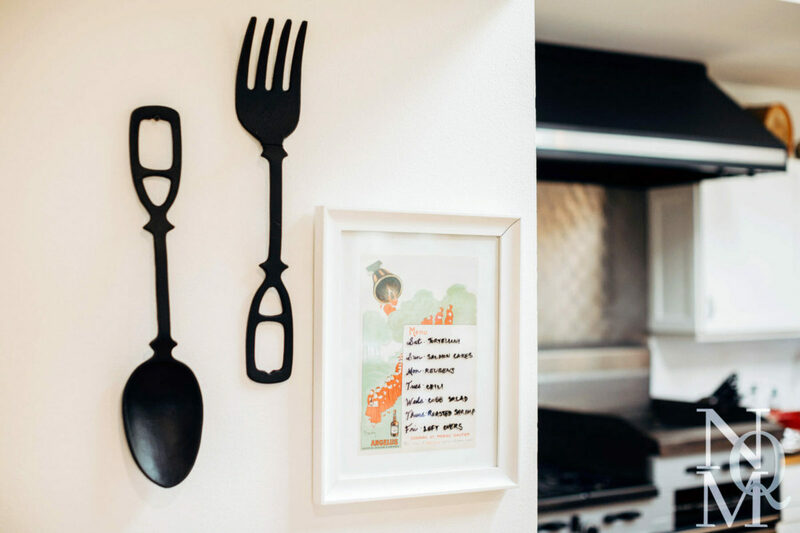 What are the right tools for success in your kitchen? Do you have them (and only them) and are they organized for easy use? Do you need to learn to be a better cook? And/or brush up on some time saving techniques? What’s your current planning, shopping, cooking system and what is the biggest pain part of it? Is your life so chaotic that you need a quick win immediately? And then over time you can develop a better system? Or is budget an issue that overrides the quick win? Get a pen and piece of paper, spend around 5-10 minutes answering the above and I’ll see you back here Friday to get you headed down your right path! I’ll detail out many of the myriad of options out now and save you time and money ASAP!